Polynesian Isles in Kissimmee, Florida! 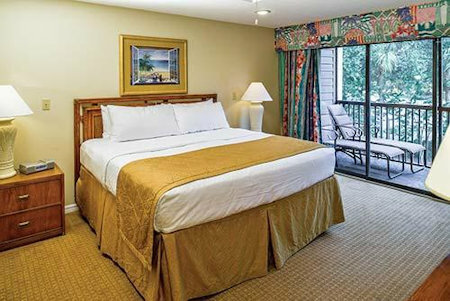 Polynesian Isles Resort in Kissimmee, Florida ~ Near Disney! - Buy a 7 Night Stay in a 1 or 2 Bedroom Suite! 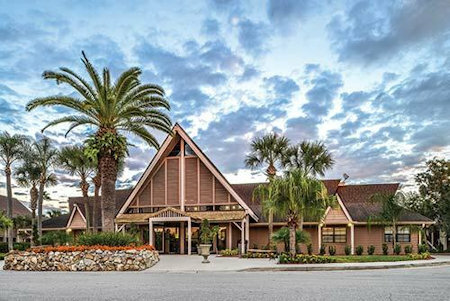 Enjoy 7 Nights in 1 or 2 Bedroom Suite at Polynesian Isles or Polynesian Isles IV in Kissimmee, FL! 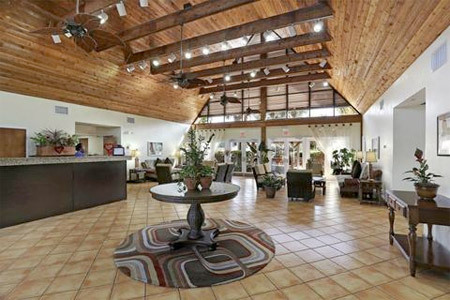 Located in Kissimmee, Polynesian Isles offers luxury accommodations 4.5 miles away from the Walt Disney World Resort. 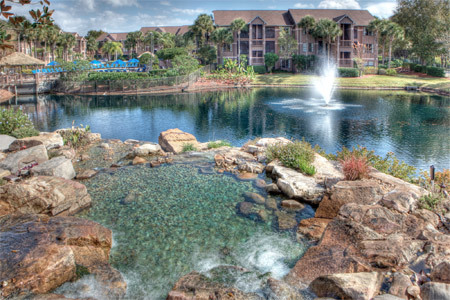 Polynesian Isles is located 7.1 miles from SeaWorld Orlando and Universal Orlando is 12.8 miles away from the property. Lush landscaping, waterfalls, and lakes surround the resort. 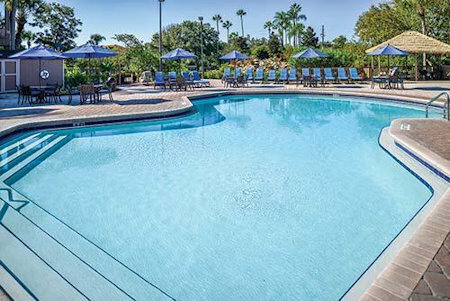 Polynesian Isles Resort offers two swimming pools, four outdoor spas, tennis courts, shuffleboard courts, and putting greens! Savor the serenity of the islands in our spacious one and two bedroom villas. Each unit features a King sized bed in the Master Bedroom and two full baths. 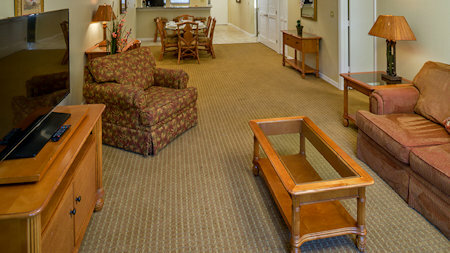 Two bedroom units are furnished with twin beds in the guest bedroom. All villas have a fully-equipped kitchen featuring all the amenities and comforts of home. Guests can relax and unwind after a busy day in our spacious living and dining rooms. Each unit contains a Queen sized sleeper sofa in the living room. Villas contain flat screen TV's in the living room and each bedroom. DVD players are provided and movie rental is available at the front desk. Wi-Fi is available throughout the resort and in each guest unit. 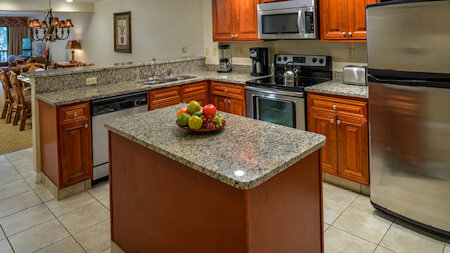 Washer/Dryers are centrally located to each unit for guest convenience. All villas feature a screened in patio/ balcony to enjoy the Florida sun! Although there is a 24 hour check-in service on site; please contact the resort in advance if you anticipate a late arrival. A credit card imprint is required at check-in. The resort has 2 or 3 levels depending on the building and no elevators. Resort amenities fee is 10 U.S. dollars. (Resort Fee is per night (plus taxes). The fee covers use of resort amenities (where applicable). Pet Information: Animals are not permitted; could result in forfeiture of the unit and/or other penalties.